His father was unhappy that his younger son would not become a physician and "was very properly vehement against my turning an idle sporting man, which then seemed my probable destination." He therefore enrolled Charles at Christ's College, Cambridge in 1827 for a Bachelor of Arts degree as the qualification required before taking a specialised divinity course and becoming an Anglican parson. He enrolled for an ordinary degree, as at that time only capable mathematicians would take the Tripos (honours) degree. 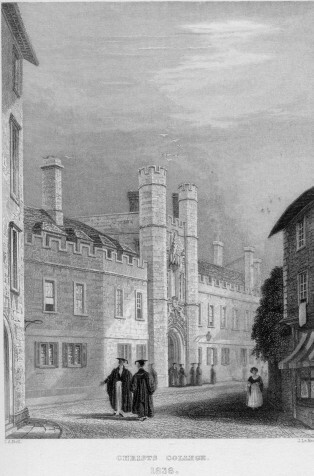 Arriving at the University of Cambridge in January 1828, Darwin found this elitist theological training house governed by complex rules much more congenial than his experiences at Edinburgh. 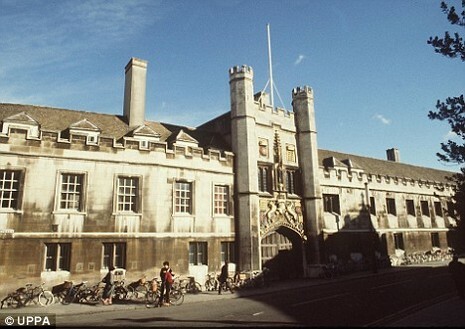 No rooms were available at Christ's College, so he took lodgings above a tobacconists in Sidney Street, across the road. Extramural activities were important, and while Charles did not take up sports or debating, his interests included music and his main passion was the current national craze for the (competitive) collecting of beetles. Trainee clergymen scoured Cambridgeshire for specimens, referring to An Introduction to Entomology by William Kirby and William Spence. Charles joined his older cousin William Darwin Fox who was already a skilled collector and like him got a small dog. The two and their dogs became inseparable. They explored the countryside as Charles learnt about natural history from his cousin. Charles became obsessed with winning the student accolade and collected avidly. Once he stripped bark from a dead tree and caught a ground beetle in each hand, then saw the rare Crucifix Ground Beetle, Panagaeus cruxmajor. With the habits of an egg-collector, he popped one ground beetle in his mouth to free his hand, but it ejected some intensely acrid fluid which burnt his tongue and Charles was forced to spit it out. He lost all three. The specimens he did not lose had to be mounted and identified, and his knowledge from Edinburgh of Lamarck proved useful. Fox introduced him for advice on identification to the Revd. John Stevens Henslow, professor of botany, and Charles began attending his soirées, a club for budding naturalists. Here he could meet other professors including the geologist the Revd. Adam Sedgwick and the new mineralogist the Revd. William Whewell. In the summer Charles paid visits to Squire Owen, where romance seemed to be blossoming with the squire's daughter Fanny, and joined other Cambridge friends on a three month "reading party" at Barmouth on the coast of Wales to revise their studies with private tutors. For Charles it was an "Entomo-Mathematical expedition". Though he badly needed to catch up with his mathematics, the insect collecting predominated along with pleasant diversions such as hill walking, boating and fly-fishing. In one conversation he asked the older student John Herbert if he really felt "moved by the Holy Spirit" to become an ordained priest. Charles got a negative response and replied, "Neither can I, and therefore I cannot take orders". Then Charles laughed it off by dubbing his friend "Cherbury" after Herbert of Cherbury, the father of English Deism. At the start of his second year Charles became the tenant of the rooms at Christ's College which traditionally had been occupied by the theologian William Paley. He now had breakfast every day with his older cousin William Darwin Fox. This was Fox's last term before his BA exam, and he now had to cram desperately to make up for lost time. At the Christmas holiday Charles visited London with Eras, toured the scientific institutions "where Naturalists are gregarious" and through his friend the Revd. Hope met other insect collectors. These included James Stephens, author of Illustrations of British Entomology". The January term brought miserable weather and a struggle to keep up with his studies. Even his interest in insect collecting waned. He fell out with one of the two locals he employed to catch beetles when he found that the local was giving first choice to a rival collector. In the doldrums, he joined a crowd of drinking pals in a frequent "debauch". He put in some hard riding. On one night he and three friends saw the sky lit up and "rode like incarnate devils" eleven miles to see the blaze. They arrived back at two in the morning and violated curfew. He was risking "rustication", temporary expulsion. Such behaviour would be noticed by the Proctors, university officials appointed from the colleges who patrolled the town in plain gowns to police the students. Cambridge was briefly visited by the Radicals Richard Carlile and the Revd. Robert Taylor, both recently jailed for blasphemy, on an "infidel home missionary tour". They rented lodgings as their "Infidel Head-Quarters", gave out circulars challenging the merits of Christianity and sought out freethinkers around the colleges. The Proctors responded by revoking their landlord's licence and making the lodgings out of bounds, at which the Radical pair put up a notice challenging this persecution of the innocent landlord. The next day all the students were talking about this iniquitous situation, and a group of them decided on vigilante action against the Radicals to avenge the landlord. Carlile and Taylor slipped out of town, satisfied that they had uncovered "about fifty... young collegians, who were somewhat bold in vowing Infidelity among each other", though few would "break... the shackles" of their education and they would have "a most painful conflict to endure." Taylor would be remembered by Charles as "the Devil's Chaplain", a warning example of an outcast from society who had challenged Christianity and had been imprisoned for blasphemy. Charles had been sending records of the insects he had caught to the entomologist James Francis Stephens, and was thrilled when Stevens published about thirty of these records in Illustrations of British entomology; or, a synopsis of indigenous insects etc. which was printed in parts, with the first description under Darwin's name appearing in an appendix dated June 15, 1829. Back at Cambridge, Charles studied hard for his Little Go preliminary exam, as a fail would mean a re-sit the following year. He dropped his drinking companions and resumed attending Henslow's Friday evening soirées. For the exam he slogged away at Greek and Latin, and studied William Paley's Evidences of Christianity, becoming so delighted with Paley's logic that he learnt it by heart. Later, on the Voyage of the Beagle, he saw evidence which challenged Paley's rose-tinted view, but at this time he was convinced that the Christian revelation established "a future state of reward and punishment" which "gives order for confusion: makes the moral world of a piece with the natural". As with Cambridge University, God gave authority and assigned stations in life, misconduct was penalised and excellence bountifully rewarded. Charles took the one day verbal examination on 24 March 1830. There were three hours in the morning on the classics and three in the afternoon on the New Testament and Paley. The next day he was delighted to be informed that he had passed. Back at Cambridge, his final exams loomed. A "desperate" Charles focused on his studies and got private tuition from Henslow whose subjects were mathematics and theology. This term he had to learn Paley's Principles of Moral and Political Philosophy, though this old text was becoming outdated. It opposed arguments for increased democracy, but saw no divine right of rule for the sovereign or the state, only "expediency". Government could be opposed if grievances outweighed the danger and expense to society. The judgement was "Every man for himself". These ideas had suited the conditions of reasonable rule prevailing when the text was published in 1785, but in 1830 they were dangerous ideas. At this time the French king was deposed by middle class republicans and given refuge in England by the Tory government. In response, radical street protests demanded suffrage, equality and freedom of religion. Then in November the Tory administration collapsed and the Whigs took over. Paley's text even supported abolition of the Thirty-nine Articles of the Anglican faith which every student at Cambridge (and Oxford University) was required to sign. Henslow insisted that "he should be grieved if a single word... was altered" and emphasised the need to respect authority. This happened even as campaigns of civil disobedience spread to starving agricultural labourers and villages close to Cambridge suffered riots and arson attacks. In the third week of January 1831 Charles sat his final exam. There were three days of written papers covering the Classics, the two Paley texts and John Locke's An Essay Concerning Human Understanding, then mathematics and physics. At the end of the week when the results were posted he was dazed and proud to have come 10th out of a pass list of 178 doing the ordinary degree. Charles shone in theology and scraped through in the other subjects. He was also exhausted and depressed, writing to Fox "I do not know why the degree should make one so miserable." 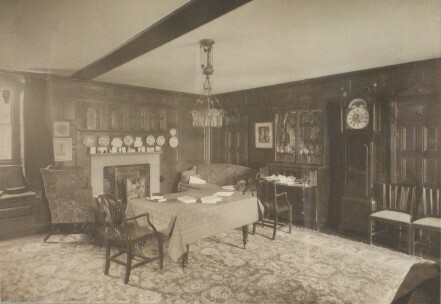 Residence requirements kept Darwin in Cambridge till June. He resumed his beetle collecting, took career advice from Henslow, and read William Paley's Natural Theology which set out to refute David Hume's argument that "design" by a Creator was merely a human projection onto the forces of nature. 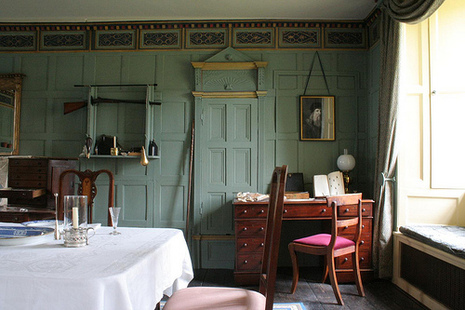 Paley saw a rational proof of God's existence in the complexity and perfect adaptation to needs of living beings exquisitely fitted to their places in a happy world, while attacking the evolutionary ideas of Erasmus Darwin as coinciding with atheistic schemes and lacking evidence. Paley's benevolent God acted in nature though uniform and universal laws, not arbitrary miracles or changes of laws, and this use of secondary laws provided a theodicy explaining the problem of evil by separating nature from direct divine action. This convinced Charles and encouraged his interest in science. He later wrote "I do not think I hardly ever admired a book more than Paley's Natural Theology: I could almost formerly have said it by heart." He read John Herschel's new Preliminary Discourse on the Study of Natural Philosophy, learning that nature was governed by laws, and the highest aim of natural philosophy was to understand them through an orderly process of induction, balancing observation and theorising. This was part of the liberal Christianity of Darwin's tutors, who saw no disharmony between honest inductive science and religion. Such science was religion, and could not be heretical. Darwin also read Alexander von Humboldt's Personal Narrative, and the two books were immensely influential, stirring up in him "a burning zeal to add even the most humble contribution to the noble structure of Natural Science." Henslow had taken holy orders only after he married and obtained his first chair. He had previously taken opportunities for reading and travel, but now confided that he still had an unfulfilled ambition to "explore regions but little known, and enrich science with new species." By early April Darwin was hatching a scheme to visit the Canary Islands. He copied out passages from Humboldt about Tenerife, and made plans for a month-long visit there to study natural history in the tropics. Only Henslow and three of Henslow's friends showed interest, with the most likely companion being the tutor Marmaduke Ramsay. Darwin rushed home at Easter to get his father's backing, and was given "a 200£ note" to pay his debts as well as permission to cost out the trip. Charles then visited his brother Erasmus in a London excited by the Whig Reform Bill which would redistribute Parliamentary seats and extend the middle class vote. Darwin "plagued" his friends about the "Canary scheme" and made preparations, studying Spanish language, and expecting Henslow to "cram me" in geology. Instead, Henslow introduced Darwin to the great geologist the Revd. Adam Sedgwick who had been his own tutor, and shared views on religion, politics and morals. Darwin was fired up by Sedgwick's Spring course of "equestrian outings" with its vistas of the grandeur of God's creation, so much of which was yet unexplored. He wrote "What a capital hand is Sedgewick for drawing large cheques upon the Bank of Time!". When Sedgwick mentioned the effects of a local spring from a chalk hill depositing lime on twigs, Charles rode out to find the spring and threw a bush in, then later brought back the white coated spray which Sedgwick exhibited in class, inspiring others to do the same. In the summer Charles obtained a clinometer, and practised mapping strata in Shropshire. He investigated ship sailings, but the trip to Teneriffe had to be postponed to the following June, and Henslow was unlikely to come. On 4 August 1831 Sedgwick arrived in his gig at The Mount, Shrewsbury, to take Charles as his assistant on a short geological expedition mapping strata in Wales. That evening Charles told of a tropical shell found in a nearby gravel pit and was impressed when Sedgwick responded that it must have been thrown away there, as it contradicted the known geology of the area. This made him realise "that science consists in grouping facts so that general laws or conclusions may be drawn from them." Sedgwick aimed to investigate and correct possible errors in George Greenough's geological map of 1820, and to trace the fossil record to the earliest times to rebut the uniformitarian ideas just published by Charles Lyell. After less than a week of doing hard practical work Charles had learnt how to identify specimens, interpret strata and generalise from his observations. Then he went off on his own to collect samples and investigate the Vale of Clwyd, looking in vain for the Old Red Sandstone shown by Greenough. They met up in Colwyn, and Sedgwick's pleasure at the confirmation that the map was incorrect made Darwin "exceedingly proud". They went on to Capel Curig where Charles struck out on his own across 30 miles (50 km) of "some strange wild places" to Barmouth. From 1827 to 1831 he was admitted to Christ's College, Cambridge University, in October, to prepare for a career in the Church. 1831 proved to be a big year for Darwin when he took his final exam in January 22. He passed with very good scores. (Some examples of the topics: Homer, Virgil, Locke's Essay on Human Understanding, etc..) He ended up coming in 10th place out of 178 students who passed the exam. He also received his BA degree. The 26th April. Planned a scientific voyage to Canary Islands and convinced his friend, Marmaduke Ramsay, a tutor at Jesus College, to travel with him. But all Darwin's plans to go to Tenerife were crushed: his friend Marmaduke Ramsay had died on July 31. At the end of August, Darwin received an invitation to serve as a naturalist (unpaid) on the survey ship H.M.S. Beagle. 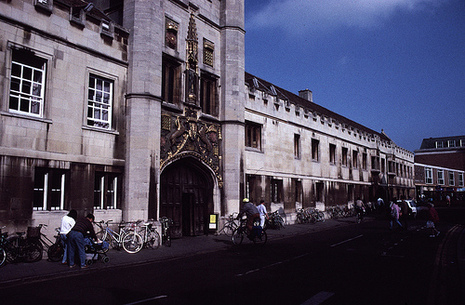 With a reputation for high academic standards, Christ's College has consistently finished in the top ten colleges in the Tompkins Table in recent years.